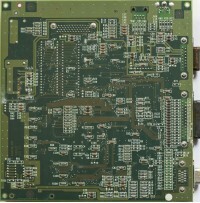 Unknown board with Toshiba chips. 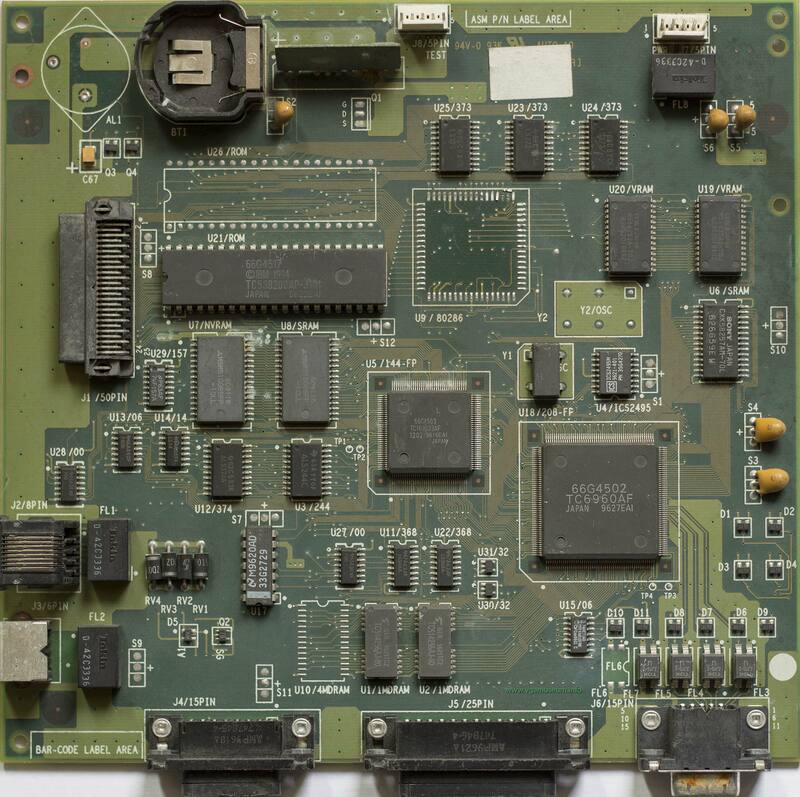 Unknown board for sure not from standard computer with Toshiba chips. 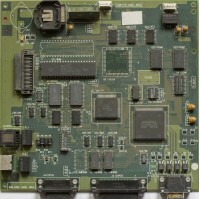 Chip TC160G33 in center is CMOS Gate Array. Question is what is TC6960AF chip near DB15 connector. Does this board even have graphic chipset or is DB15 there for something different (can't find Ramdac)? As always interested in chipset name, source computer name, memory size/type. This is no sorts of graphics card. 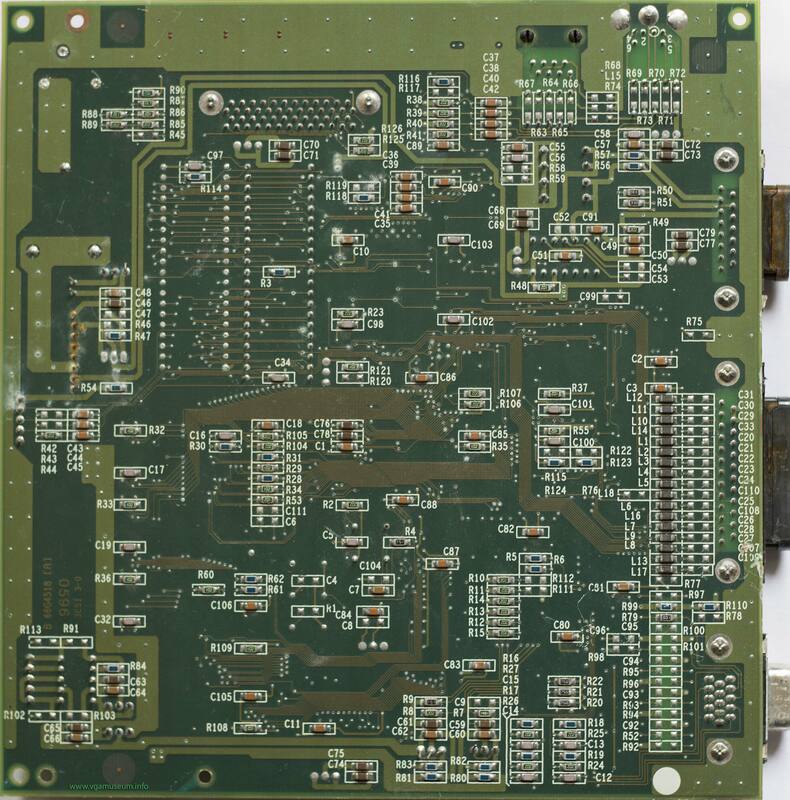 Because this Mainboard had an intel 80286 onboard (which is horrible torn of) (U9) probably an 80286-12 which were either socketed or directly soldered. It also probably features a 50pin scsi connector (J1) and a network connector (J2). The J6 15pin was only there for checking the status of the machine on a connected monitor. This thing was sold as a standalone fileserver... but what type it was... I can't pinpoint it.